2017 was well and truly a year that epitomised how women are making their mark across multiple industries and being rewarded for their achievements. Recently, Oprah Winfrey made a speech at the Golden Globes, where she highlighted “for too long women have not been heard or believed”, she encouraged strength and empowerment to “magnificent” women all around the world. So, in honour of such an important topic, we are ecstatic to give credit to one of our own. 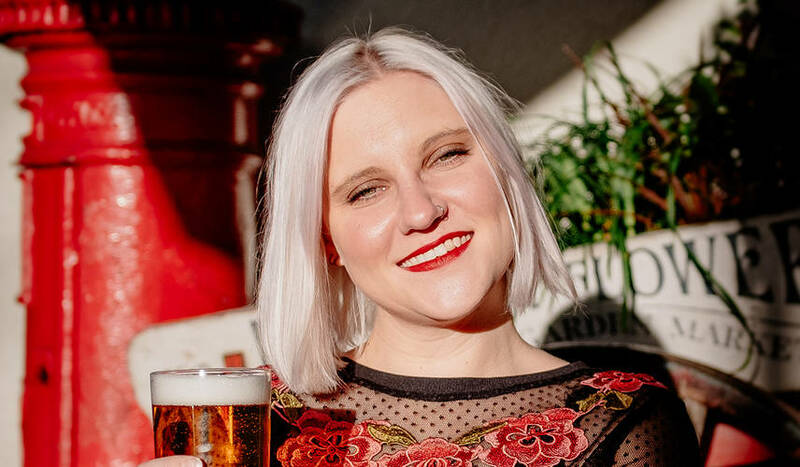 We felt a surge of excitement and pride when The Independent recently published an article discussing ‘the female ground breakers of 2017’ and we noticed a familiar face featured on the list… our very own Beer Guru, Lauren Soderberg! About being mentioned as the first female Beer Guru, Lauren said, “It’s incredible! To be in a list with such amazing women is ridiculous, I still can’t quite believe it” and described it as one of her favourite memories while working for New World so far! Lauren ‘drinks, sleeps, breathes beer’ with an accumulation of 15 years in the hospitality industry, her knowledge and understanding is unchallenged, and this has led to her depth of expertise. Her role as Beer Guru sees her travel across the country to all our 20 (and counting) sites where she is responsible for beer training and, as you can imagine, is a popular person amongst our teams….Lauren=BEER! Her other professional passion is the New World ‘Master of Beer’ program which she pioneered to provide a progression path for individuals interested in all things beer; which even gives people the chance to receive a NWTC qualification at the end! Her mentoring, expertise and guidance helps so many individuals progress; both within our company and externally in the industry. Some of you might be reading this, thinking “I hate beer. Always have. Always will”. To those people Lauren says, “I want everyone to drink and enjoy beer! I don’t believe that people don’t like beer, they just haven’t tried the right one for them”. She recommends a bottled beer on our menu, Lindemans Cuvée René. It’s a Gueuze, that is a blended sour beer, which is her personal favourite across the estate. For the curious out there, we have a sophisticated Anthology of Ales, which explores our collection of ales and ciders found throughout the estate. To discover the finest flavours from across the globe follow our ‘Anthology of Ales’ Instagram page here.